Trayvon Martin’s death has become a national topic and although it doesn’t center around globalization it still seems quite relevant to discuss as it has become such a buzz story in our popular media about racialized violence. Many different media outlets are covering this story and a lot of different analyses are being written and talked about. The article I looked at in particular Justice, not revenge, for Trayvon by LZ Granderson. The author addresses the matter of the New Black Panther Party in his article and describes the statements made by the new party’s leader, Mikhail Muhammadf. Stating that they may feel empowering but the reality it “digging your own grave”. Although LZ Granderson is not alone in this viewpoint on the separatist party one thing the article is missing is the reality that media is now bombarding this group for their opinion and viewpoint then condemning them when it is shared. Many of these mainstream media outlets are using these interviews and repeatedly playing or talking about certain segments of statements that have been made. This distortive reporting is beneficial to news outlets because it makes the story more interesting. The one thing a news article will never address is their tactics for higher ratings and the constant barrage of media coverage on this topic jacks up the ratings. Granderson repeatedly addresses that revenge is not the solution, that trying to hunt down Trayvon’s killer will only cause yourself and others harm. Yet, he never talks about a solution. There is no discussion of what a person should do with their anger instead of acting on violence. There could have been discussion on the community events that have been taking place in honor of Trayvon or spark some discussion about the reality of oppressions that people face in that community. The author gives a lot of judgment calls on what he believes a person should feel about this situation. His sentiment is that you get mad but not that mad cause anger is risky. Yet, anger can be power when you’re fighting against an injustice, why should Granderson’s readers tame themselves because he is worried about the results of people’s emotions? He then addresses the language used when discussing this case and although as a writer he makes points that are relevant about the prevalence of violence in our society and the language we use that is associated with that. However he disregards the reality of oppression, stereotypes, racism. He writes in a way that disempowers these words and makes them less real. I perceive his discussion about the language used as a very unrealistic view of how people discuss oppressions in our society, and it seems ineffective to say this language makes the case lack “togetherness” and “healing”.Grandersons biggest blunder in this article is his comparison of Trayvon Martin to Ryan white, a boy who was diagnosed with AIDS at the age of 13. The author call Trayvon Martin the “new Ryan White” while simultaneously denying the similarities other have brought by between Martin and Emmett Till, a 14 year old boy who was murdered in Mississippi. Ryan White was an white teenager from Kokomo, Indiana, who became a national poster child for HIV/AIDS in the United States. During the time when White contracted AIDS it was a diseases that was only though to effect the gay community. White was one of the first faces in the public media that started to change people perception of this and gain a better understanding. He was expelled from middle school after his diagnoses; he and his family went through a legal battle with the school, and media coverage of the case made White into a national celebrity and spokesman for AIDS research and public education. The similarities between these two boys are few and far in between. White contracted this illness as a result of a blood transfusion, although that is quite unfortunate it is not the same as a young black man getting shoot. Granderson is trying to relate Whites story of contracting HIV and being put on public media as a new face of HIV to racial profiling. Stating that both HIV and racial profiling are things only those directly affected would talk about and because of that these cases both give leeway to talk about these things. The author is really stretching the connection here, Trayvon being a black teenager who was murdered as a result of a hate crime, a white middle class boy who received a bad blood transfusion is completely different. Granderson then denies the similarities of Emmett Till and Trayvon Martin, I question his reasoning for doing so as a reporter. Because clearly the raw facts show more of a resemblance between these two cases then Martin and White. 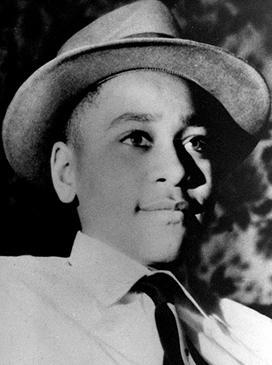 Both Till and Martin were young black men who were murdered for because they were black. The similarity of the two boys although in different time periods is unquestionable.Whether you believe Trayvon was shot through an action of self-defense or because of racism, is not directly addressed in this article. Granderson talks around the subject when he lectures to his readers about justice vs. revenge but he avoids this direct dialogue of the topic. Another condition of this article that seemed a bit misdirected was his discussion of how he and another CNN analyst discussed this topic and how positive it was because they talked about it, they didn’t fight or debate. but talking about the issue. Granderson is saying a lot with what he is not saying. His remarks on this show how he believes we, his readers and others should talk, debate or discuss an issue. It seems to me as a reader that he’s making a point to show how much better it is to not get angry or question another’s viewpoint about an issue because in the end leads to uselessness and harm.